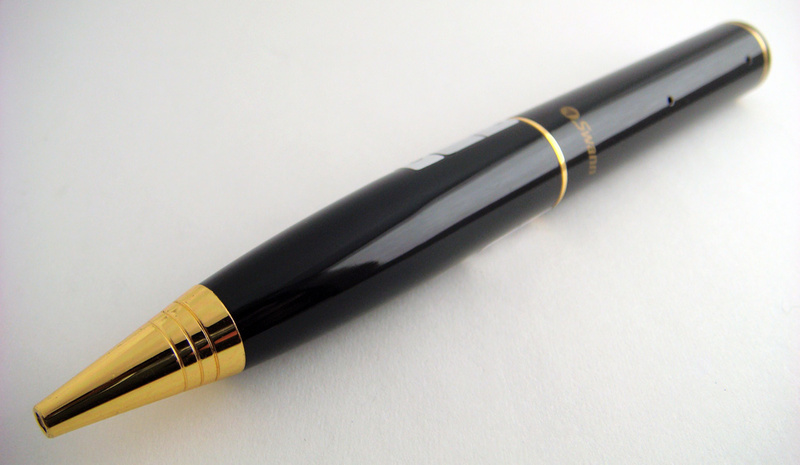 Last year, we published a review of Swann’s discrete spy PenCam. Although somewhat oversized for a pen, it can record nearly 1.5 hours of 640 x 480 pixel video and capture pictures on the 2 GB internal storage. It even has a regular USB port under the cap for quickly transferring files to your computer and recharging. And yes, we are giving away this $60 gizmo for free! Step 1: ‘Like’ Skatter Tech on Facebook or Follow @skattertech on Twitter. Step 2: Provide us your name and email using the contest entry form below. Step 3: You are done! Just be sure to keep an eye on your email inbox. We will also giveaway a “bag of crap from CES 2011” to the same pool of contestants if we reach at least 75 entries before midnight on January 21st, 2011. The bag includes flash drives, lanyards, a portable USB battery pack charger, and other odd swag. If we do not reach the target, we will still giveaway the $60 Swann PenCam to one lucky person. 18 years and older only. Must live in the United States. Winner is randomly selected by a computer program. Only one entry allowed per person. Duplicates disqualified. The winner will be announced on this post. Winner has 24 hrs to respond to our email. Be sure to agree to our entire Contest Policy. Announcement: Congrats to Steven from Michigan.